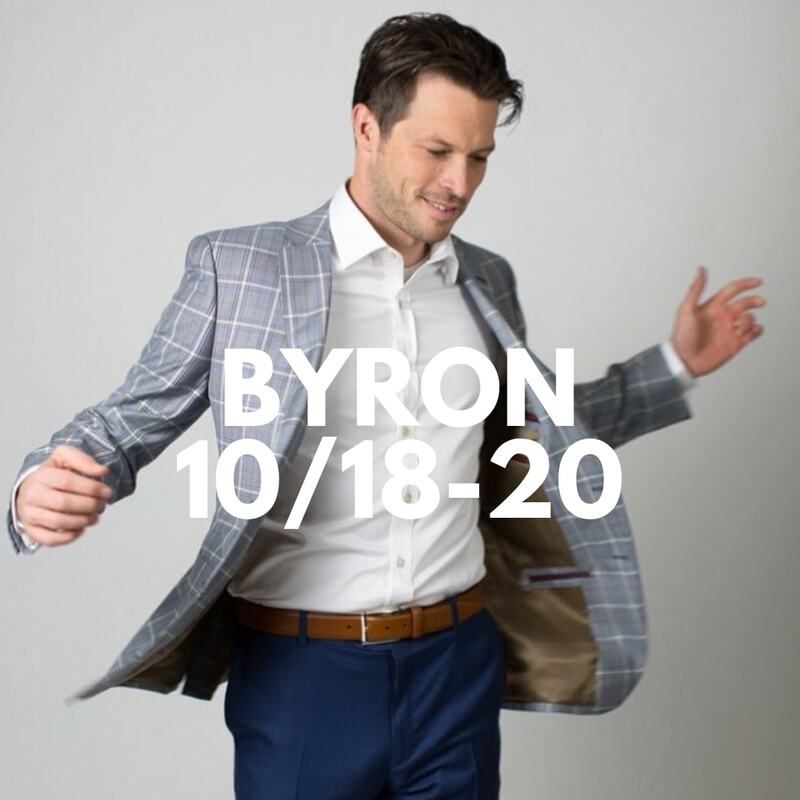 Named for the 18th Century English poet and rock star of his time, Lord Byron and the Greek National hero-Byron brings together old world craftsmanship and a modern tailored fit. Byron’s fabrics are from the finest mills and constructed with a floating chest piece, which molds to the body, yet gives a freedom of motion. This special touch is unheard of at this price point. You get outstanding quality and terrific value with incredible size selections-Short, Regular, Long & Extra Long! Mr. Spiro Arvanitakis, one of Byron’s principals, will be with us for this special inaugural event. Get 1 for $635 save $160! Get 2 for $1,190 save $400! Get 3 for $1,595 save $790!